This lesson is inspired by my good friend Ryan “everything is too hot” Cook – currently a history teacher in China. He asked me the question in Stage 4 in about 2007. I wasn’t able to answer it very convincingly, but I still remember it. Don’t worry, your students will be able to answer it fine. Also thanks to Carl Dowse for sharing the video on Scoop.it, great find! Write a famous date on the board – it doesn’t really matter what it is, so long as it is historical and you think the students will recognise it. Try to be a little sensitive in some parts of the world – recent history, especially relating to wars, revolutions, etc. should be treated carefully, but you know that anyway. 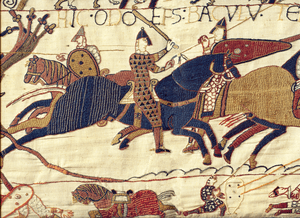 1066– for example, would most likely be alright in France. The Battle of Hastings was in 1066. The Normans conquered England. Have them imagine what it would have been like to live in that time. Elicit some answers – but don’t go too heavy on the details, the history in this case, isn’t too important. You’re looking for the past modals structure – “It might/probably/would have been…”. If they don’t use the structure – model a sentence and write it on the board using the grammar as a base – ad th model formation underneath. It would have been violent. If you’re in Spain, and possibly other countries I have no knowledge of – elicit the difference between history and story as the two are often used interchangeably. It irritate the life out of me, and teachers, you need to tell ’em. Follow up with a little controlled practice – ask your students to write some examples of the form. Ask the students to get in groups of four and decide when they would go, if they could travel back in time for one week. They’ll be using the second conditional this time, so remind them of the structure of they’re not sure. At this level, there should be no issue with it though. It’s purely for discussion. Make sure to monitor – take notes. After 5 minutes or so get some feedback from the groups – who gave the most interesting answer and why? Follow up with an error correction spot – focus on repeated errors, especially related to the past modals structure and the second conditional. What was the interview for? What were the man’s skills? Why did they reject the first man? Where did he go ‘between’ tribes? Why was the second candidate late? A position in the tribe. He lied about the time he was with his previous tribe. To explore the plains with his friend. You may need to point out that this was neolithic English, and not to be emulated. 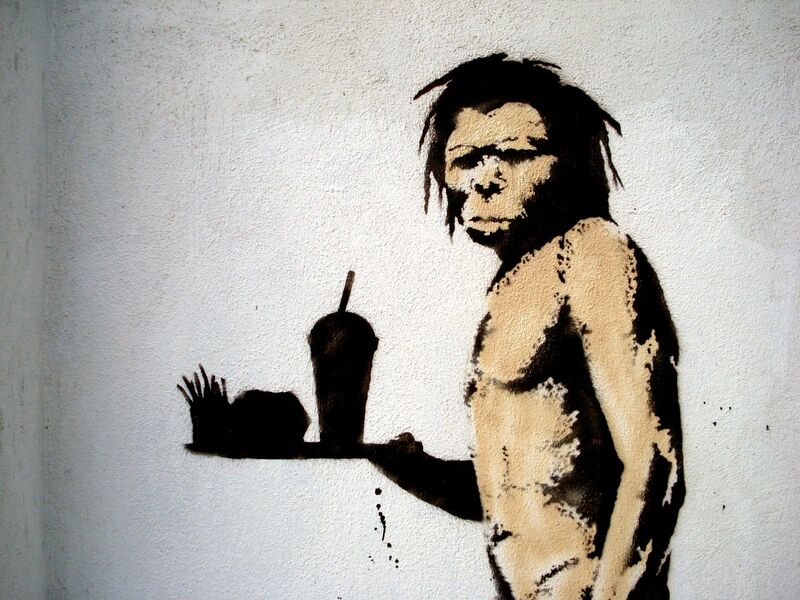 For the less ethical, if you want hear your students speaking like cavemen…don’t tell them. If you went back to prehistoric times, what could you teach the tribesmen you saw in the video? What you teach must not get you killed! Put students in groups of four. they must discuss the question and prepare a lesson for the neolithic tribesmen. Tell them they will give this lesson to the class at the end. The discussion is usually quite interesting because, when it comes down to it – limited by resources and proof, the things we can teach are often fairly basic. Hope you like it. Let me know how you use it, would like to adapt it – or if you think I’ve missed anything glaring! I’m using this today with my intermediate one-to-one student… seems like fun… i need to get him away from FCE practice mode, and work with the emerging language a bit. I hope it goes well! It’s nice to step away from exam classes sometimes. I’ll be using this tomorrow with a group or intermediate students here in Italy, looks like fun!